Town of Palm Beach News Release — The Town of Palm Beach will host a three-hour workshop in Council Chambers as a follow up to the 2018 Business Workshop to bring Town staff together with local experts to discuss the future of the business community to ensure sustainability. Moderators will provide an overview, relative to how the business community currently interacts with Town government and discuss completed and proposed process improvements to improve doing business with the Town and overall communication. Local experts with national reputations in their respective fields will include Paul Leone, of the internationally-acclaimed resort The Breakers, Alexandra Patterson of Up Markets, creators of the newly-revitalized Royal Poinciana Plaza, Cody Crowell of the Frisbie Group, developers of the Testa property, Ashley Berry of the Worth Avenue Association, and Patricia Sans of the Greater South County Road Association. Each speaker will share their lessons learned over the past year coupled with bespoke thoughts on the future of the Palm Beach business community. 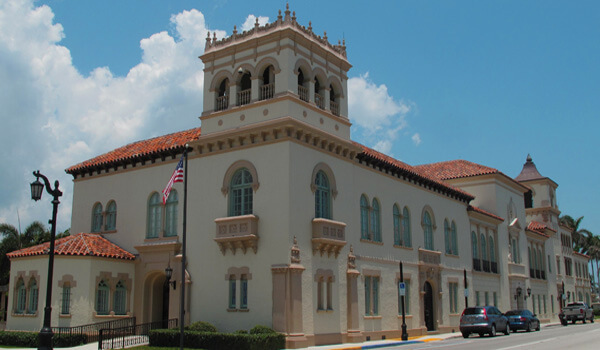 The workshop will also include a presentation from Harvey L. Poppel on the Palm Beach Civic Association’s Residents Survey Results and Interim Report of the Palm Beach Civic Association Long Range Planning Subcommittee on Future Business. The elements of the workshop are aimed to look ahead as to how the Town of Palm Beach can create and maintain a resilient business community supported by engaged and proud residents, an inimitable quality of life, and vibrant, prosperous business districts. The program is opened to the public and will include a Q&A segment. Business owners, landlords and store managers are encouraged to attend. Registration is not required.